Passport to the Heart Yoga retreats contain a strategic combination of mixing the adventure of cultural travel with fitness, yoga, meditation and coaching to create mental balance, harmony and happiness. Melissa has organized retreats around the globe, including Croatia, Spain, Bulgaria, Florida, Bali, Norway, Mexico, Italy, Tobago and more. Passport To The Heart yoga and health retreats mission is to hold cultural trips on every continent. This is where you will find bucket-list travel accompanied with health and well-being. 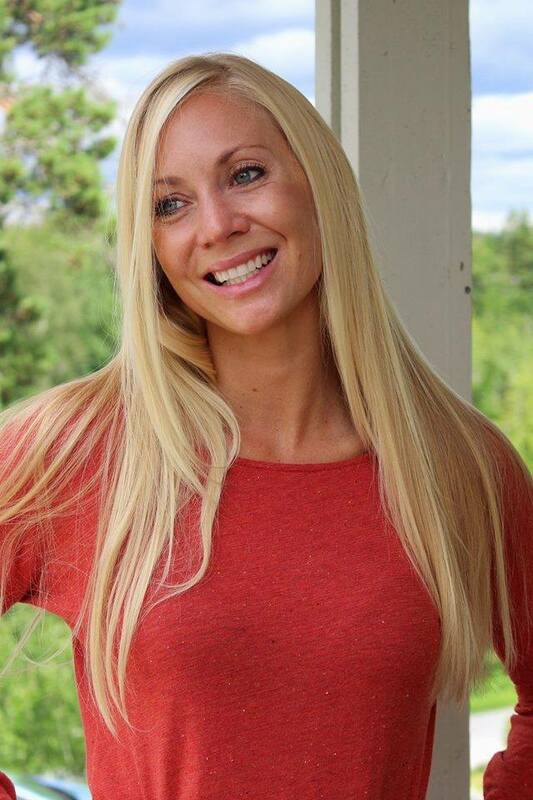 Melissa Andersen is the American founder of Passport To The Heart currently residing in Norway. She is a passionate yoga instructor and motivational coach with over 13 years of experience. She completed her yoga teacher training in India for traditional hatha yoga with an accredited Yoga Alliance school. Since then, Melissa has traveled all corners of the world teaching, practicing and gaining knowledge. During this journey, Melissa discovered the evolutionary benefits that culture and health had blessed upon her life. It was then that Passport To The Heart Retreats were born, to help others experience the gift she had uncovered. Melissa’s global retreats contain a diverse array of fitness and yoga including hatha, vinyasa flow, yin and pilates, with breath exercises and guided meditation. She is also a licensed NLP (Neuro-Linguistics-Programming) practitioner and motivational mental coach. Melissa's retreats have a strategic combination of fitness, yoga, meditation and coaching to create mental balance, harmony, happiness, and overall fun!. She has managed retreats in Croatia, Spain, Wales, Bulgaria, Florida, Bali, Mexico, Cyprus, Italy, Norway, Tobago and more. Every years brings a different country, and a new adventure. Melissa offers a wide selection of extra services. Looking for a global private yoga instructor to hire for any event, at any local in the world? We can arrange a Personal Yoga event for you or your company including yoga for group vacations, weddings, bachelorette parties, corporate gathering and more. Find out more information via email. Beside technical and physical capacities, we also have to learn how to ease and control the mind, how to transmit our inner calmness and share our energy. Sustainable performance is all about self confidence, motivation, trust, courage, audacity and team spirit. Contact us about private or Skype sessions to hear about all of the options for mental NLP coaching. Practice yoga one-on-one with Melissa to strengthen your yoga practice through detailed private sessions catered to your personal needs and goals. Private yoga includes a combination of physical and mental work through asanas, meditation and breath work. This is a great way to grow and develop a healthier, more well balanced life. You can schedule private sessions in Telemark, Norway or via Skype, anywhere in the world! Passport to the Hearts mission is to inspire others to follow their dreams, whether big or small, through yoga retreats, motivational mental coaching, yoga therapy, stories and photography. Every individual possesses the power to manifest and accomplish their personal goals, as long as they follow their intuition and overcome hesitation and fear. Find yourself and enhance your life, through the joy of yoga, travel and self evolution. Sign up below to get updates about our Yoga Retreats and other information.